Metal Products Engineering offers precision waterjet cutting and machining on our OMAX Maxiem 1515 waterjet machining center. The OMAX 1515 cuts without heat and leaves a clean edge, eliminating the need for secondary finishing. Waterjets are capable of cutting virtually any material with CNC accuracy, including metal, composites, stone, glass, plastics, ceramic and wood, from 1/16 inch to more than eight inches thick. 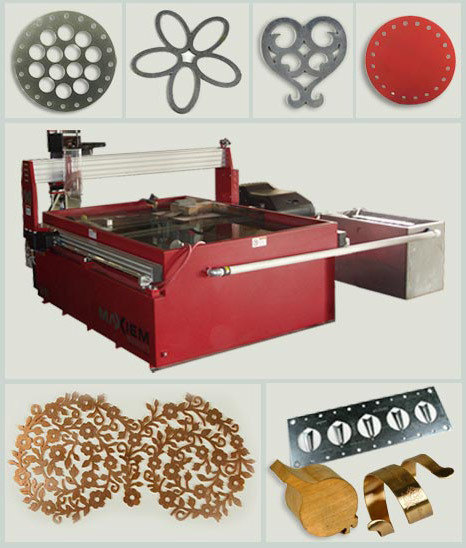 Metal Products waterjet cutting services deliver precision parts with rapid speed, efficiency and savings directly from a CAD drawing or .DXF file. It is ideal for short-run part production, just-in-time manufacturing, tooling and prototype part development.